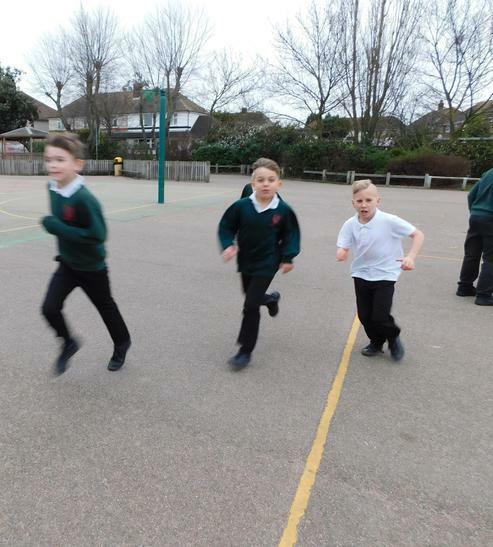 The four-minute run is a daily activity recommended for childhood health and general well-being. 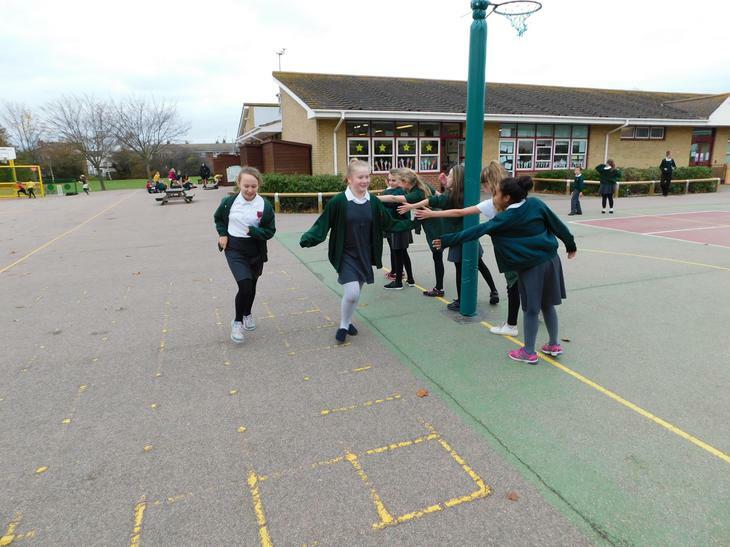 Last year, Year 6 piloted this daily activity in Term 6 with amazing outcomes. 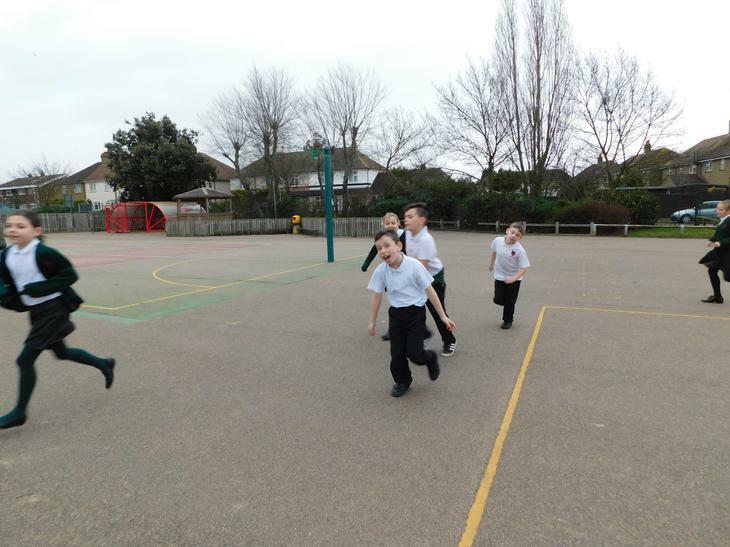 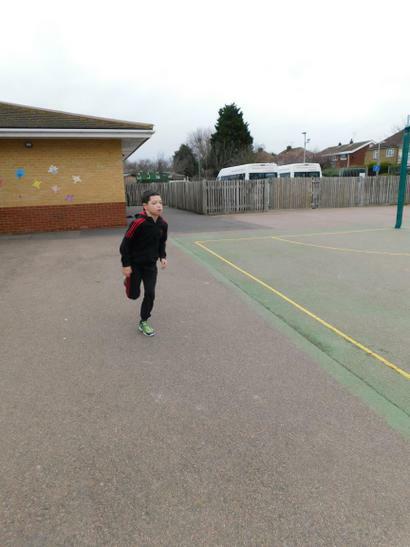 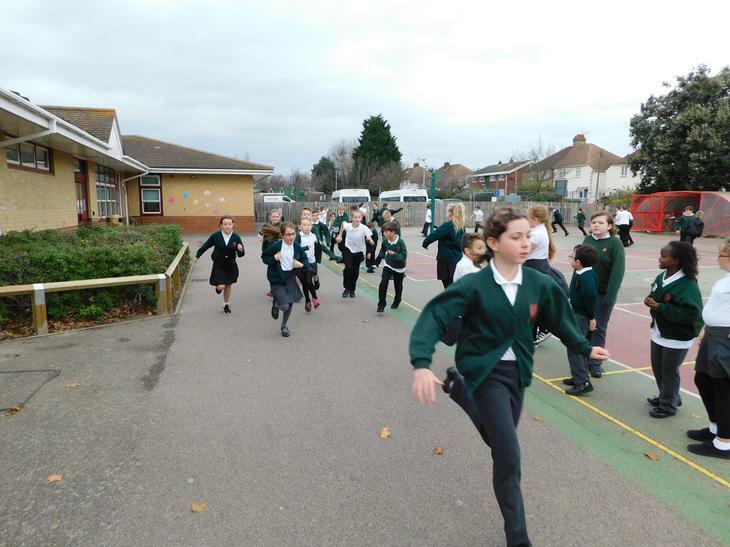 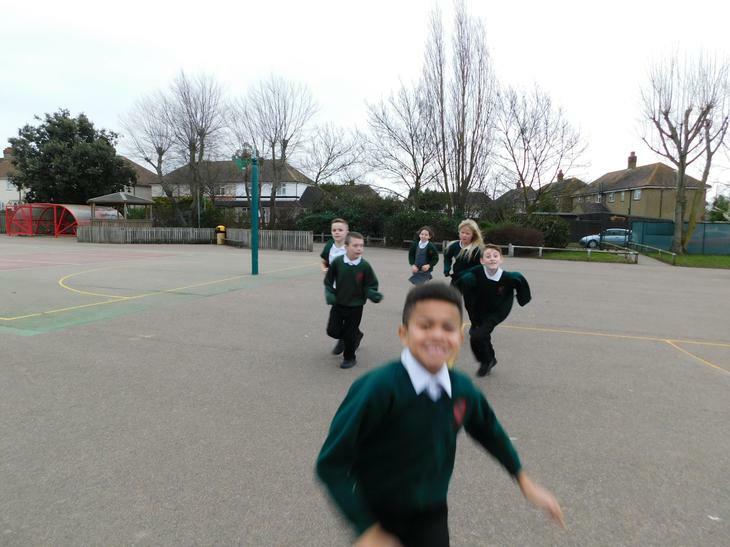 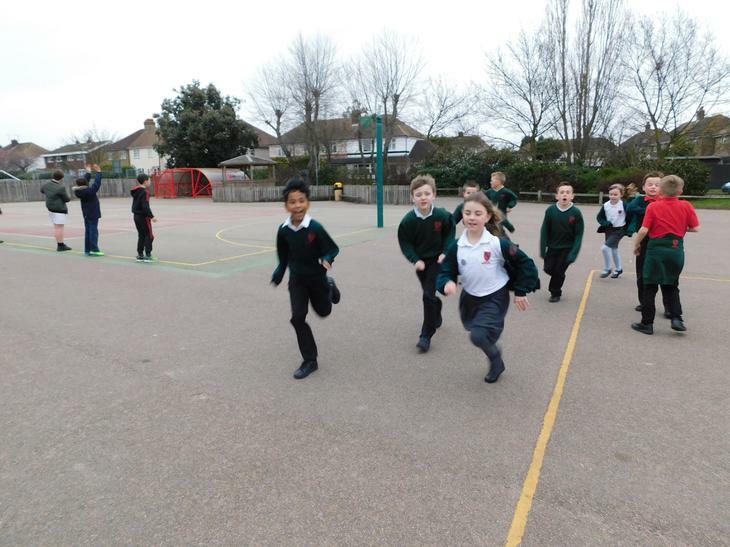 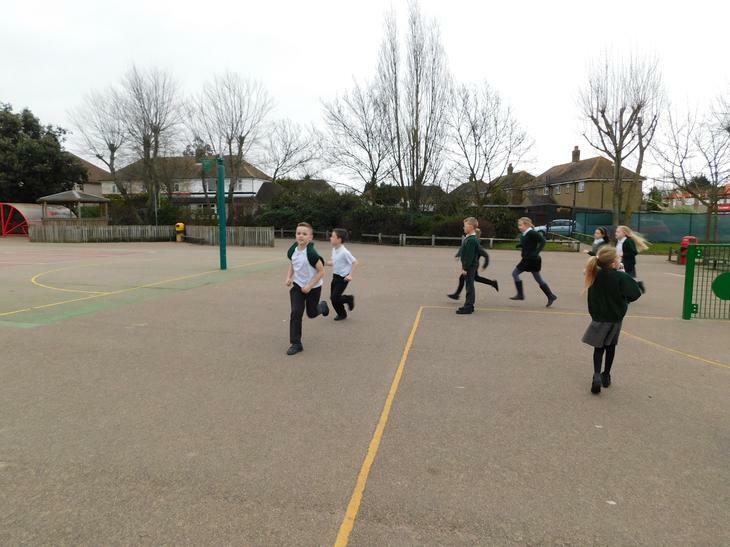 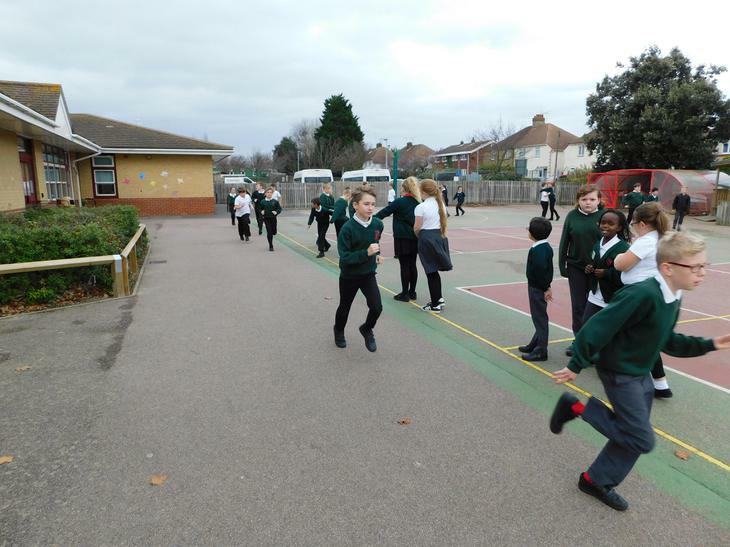 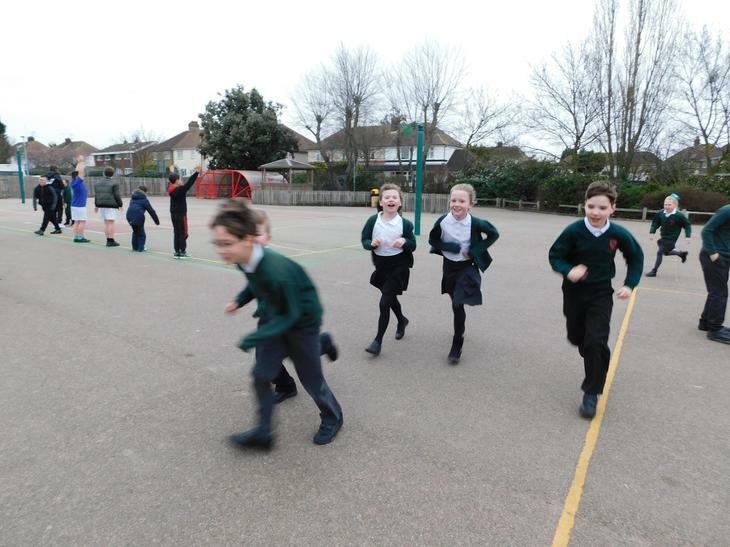 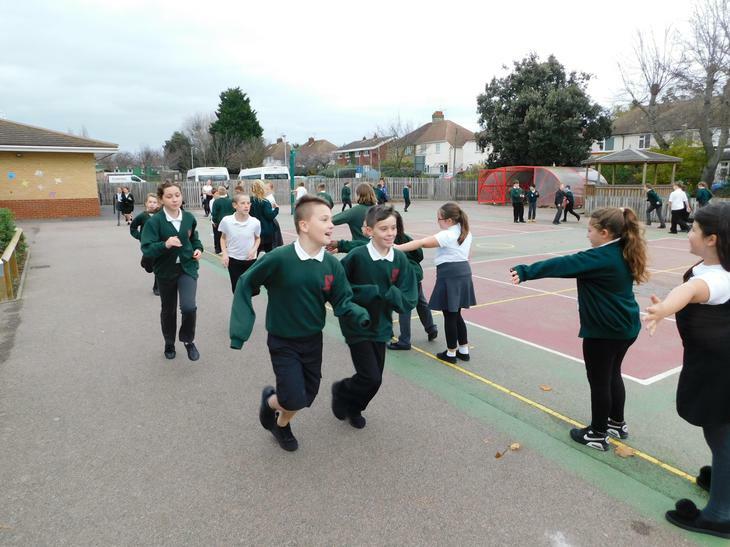 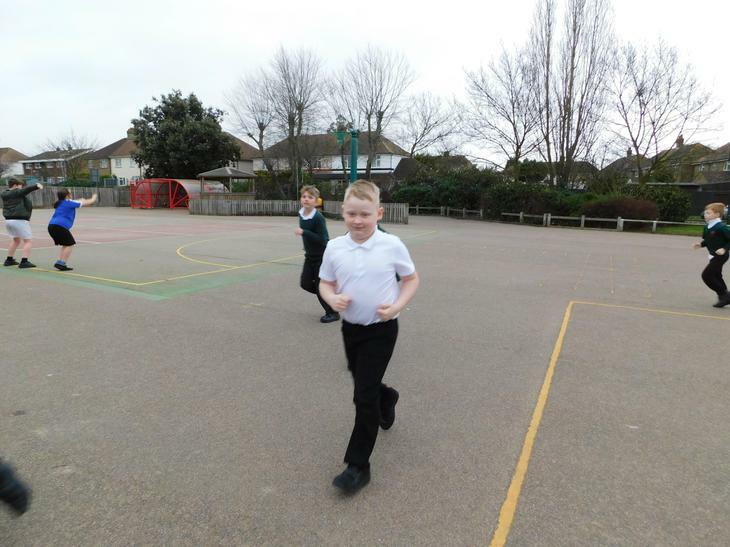 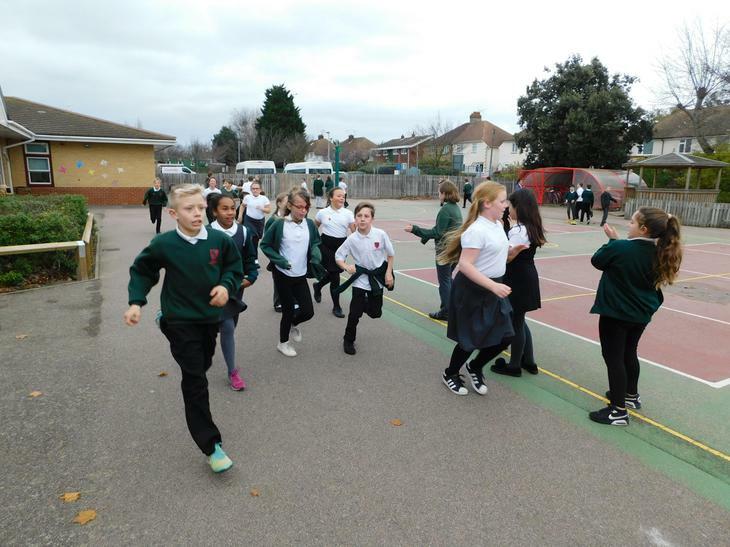 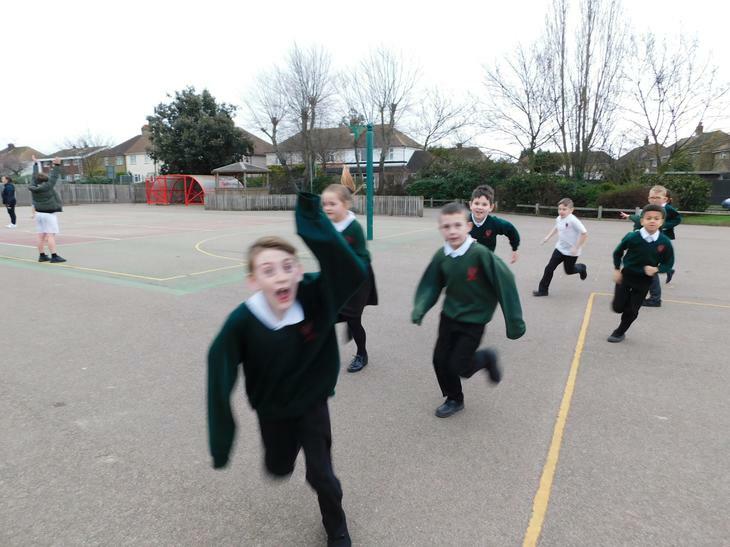 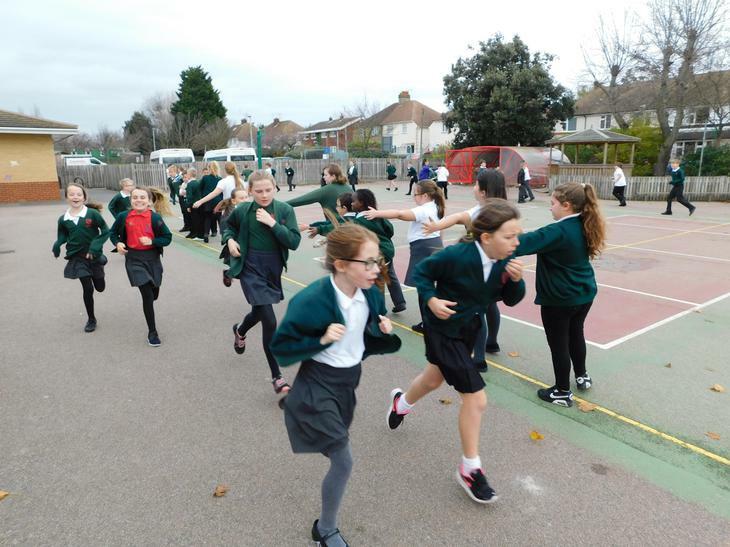 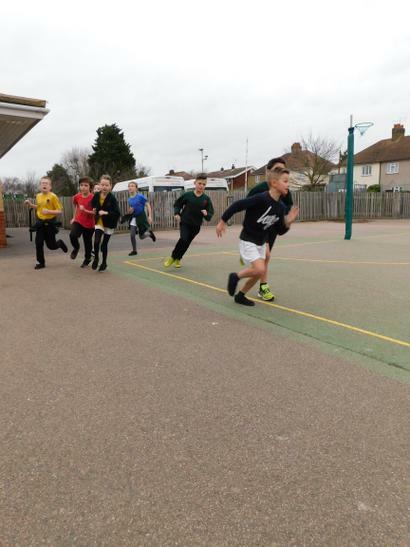 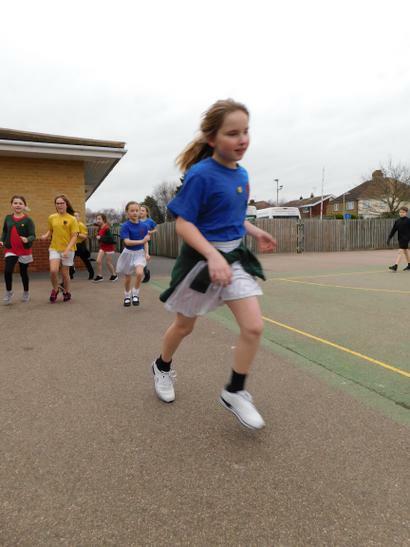 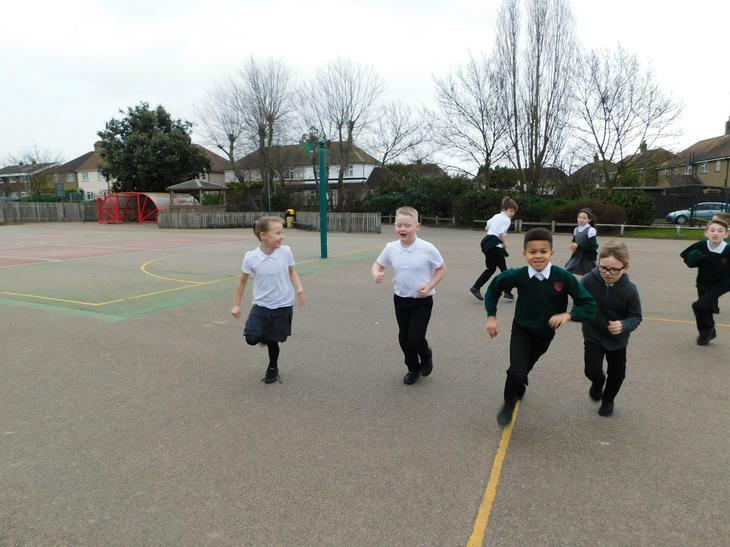 As a result, this academic year, year 1-6 all take part in the four-minute run daily. 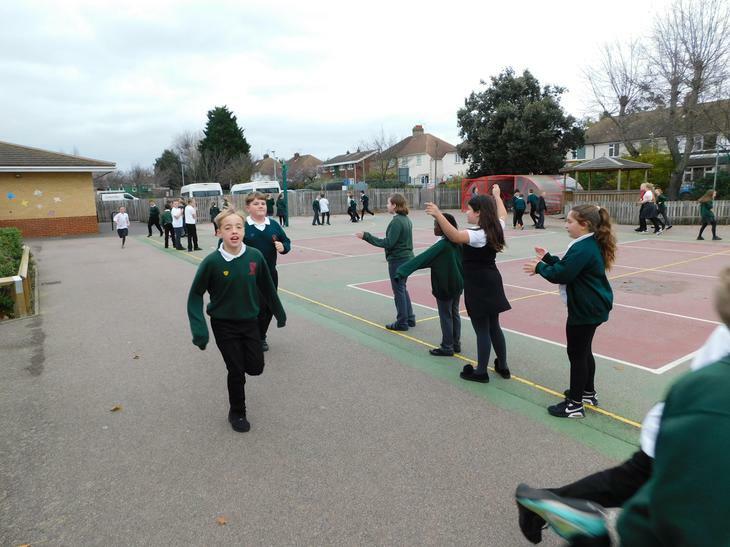 It has become a wonderful daily event where all three classes come together for 15 minutes to support each other. 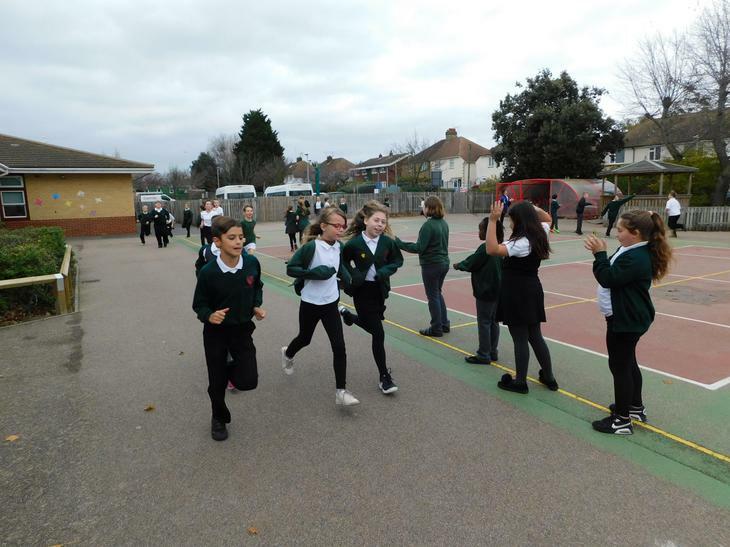 There is high fiving and countdowns to encourage their class mates to persevere to the end. 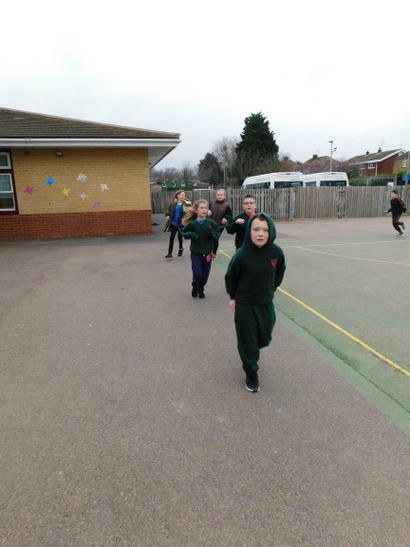 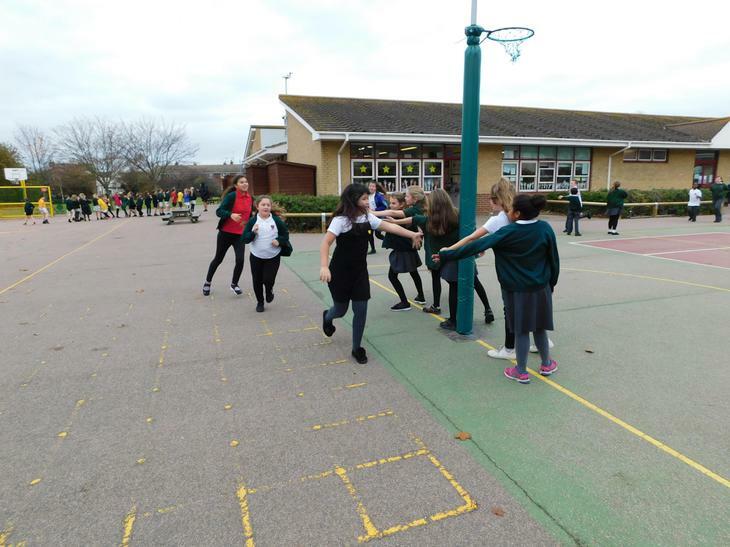 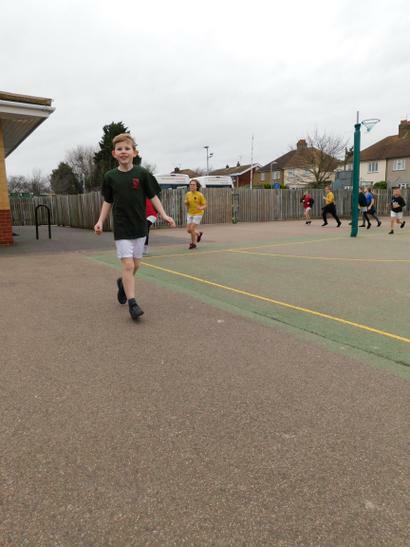 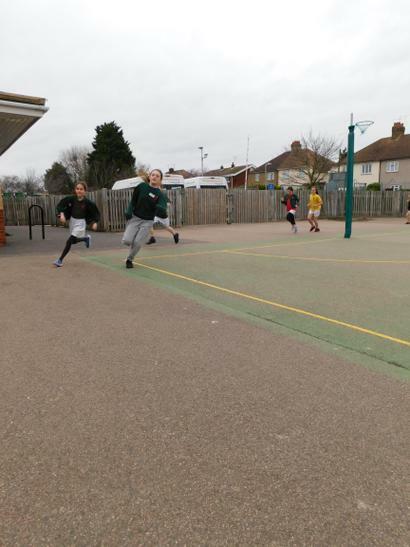 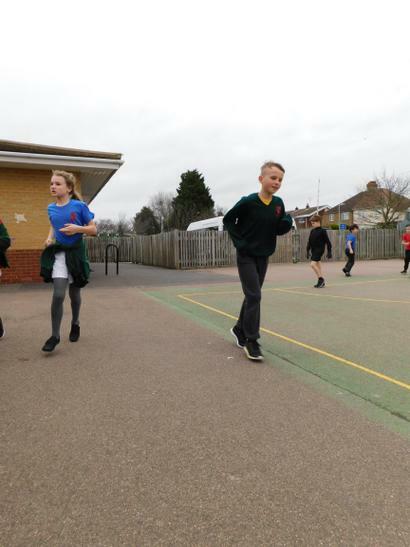 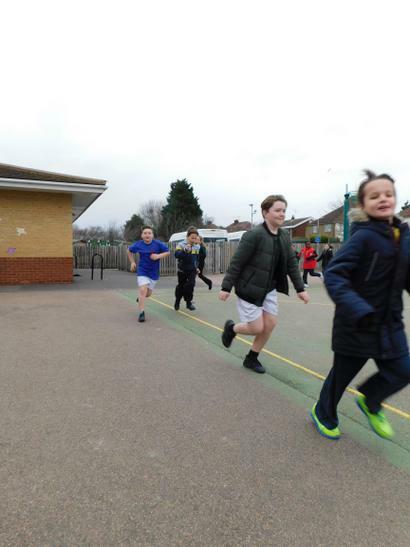 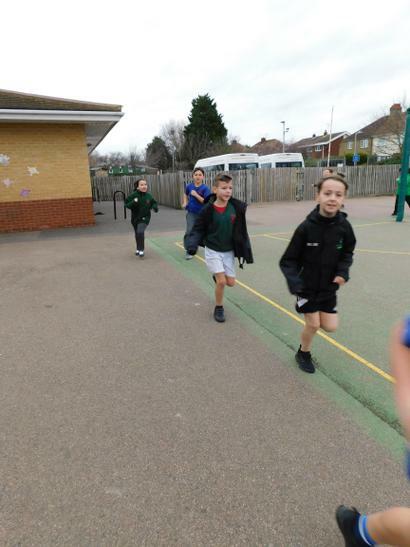 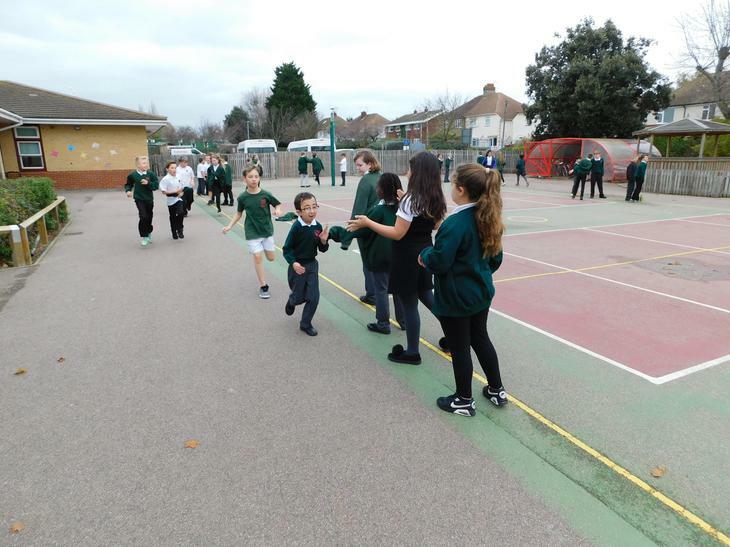 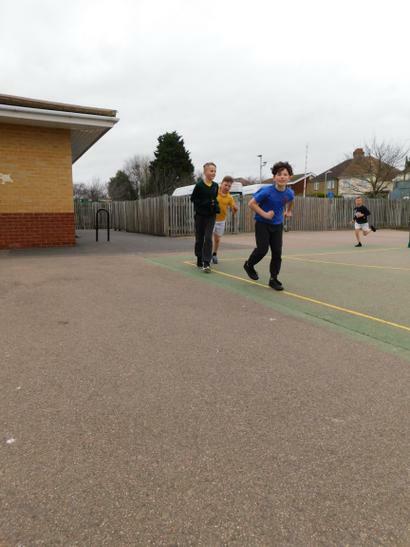 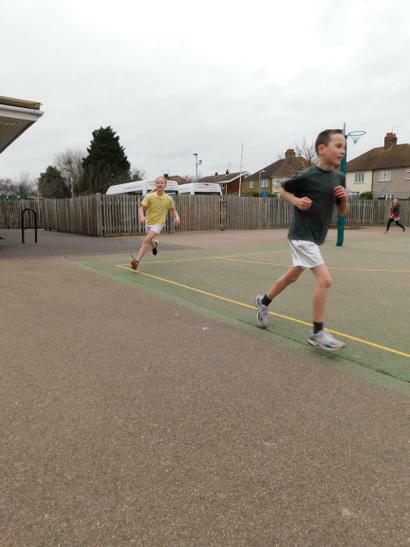 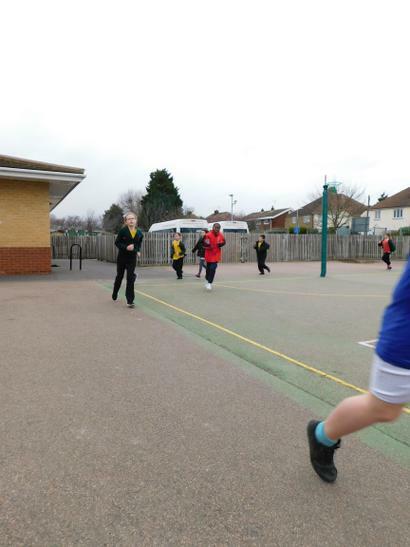 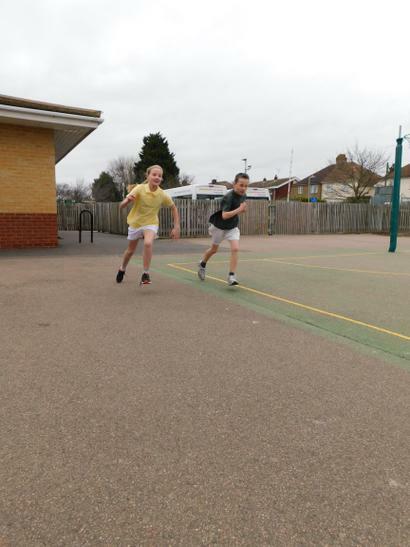 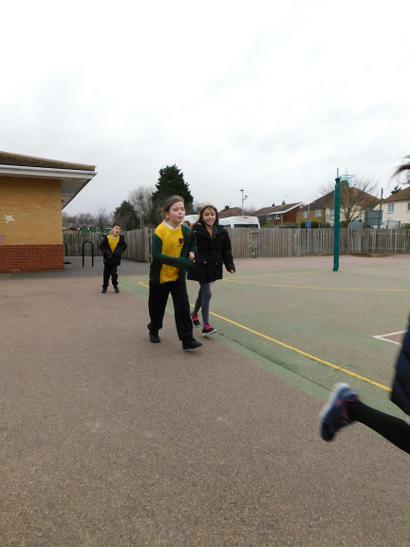 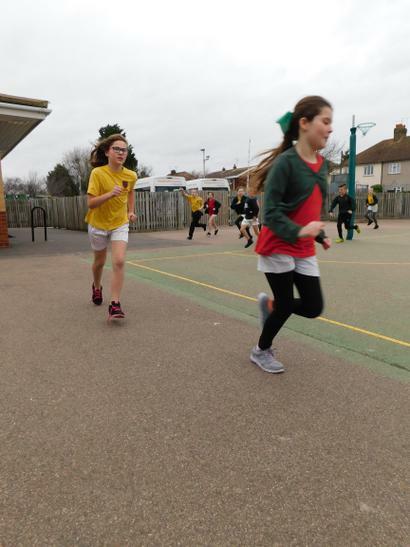 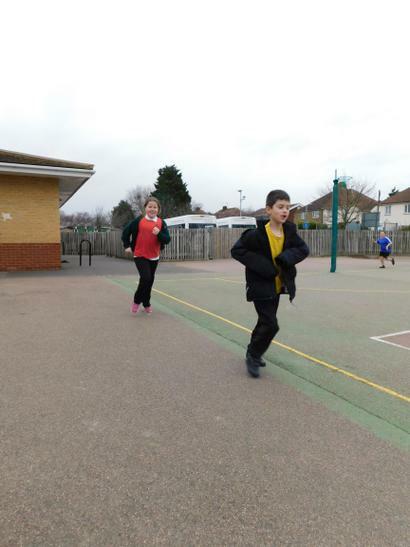 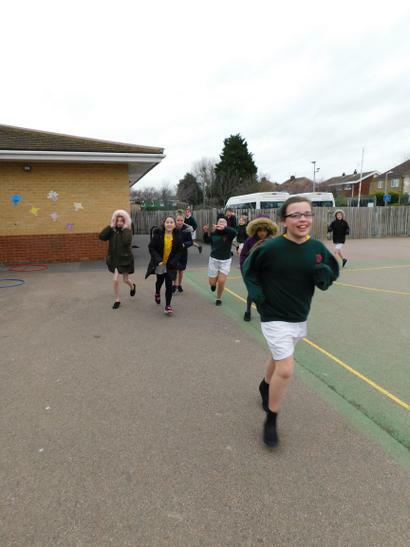 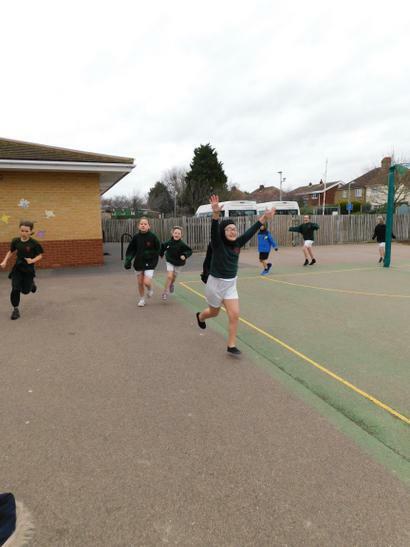 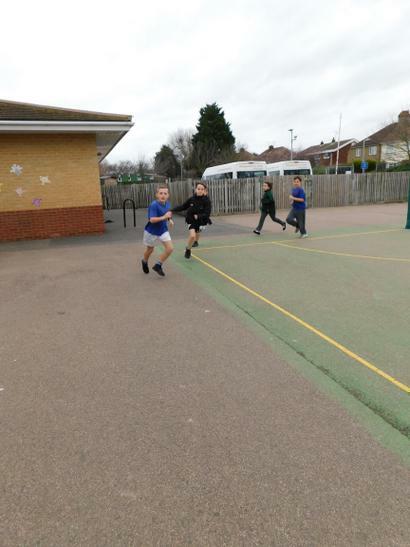 Our children have demonstrated the Hampton Values throughout this activity, shown fantastic progression and aspire to run even further with many not only completing it once but twice!